Help your photos tell their story! 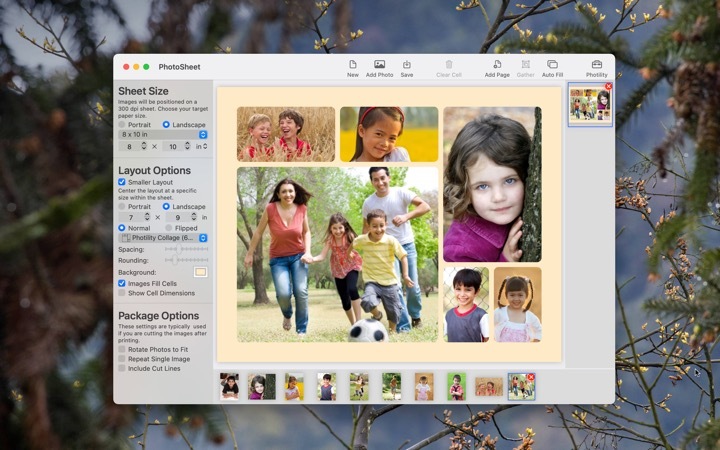 Whether you're sharing wallet photos with friends and family, filling a scrapbook, or filling a photo frame, PhotoSheet can help. 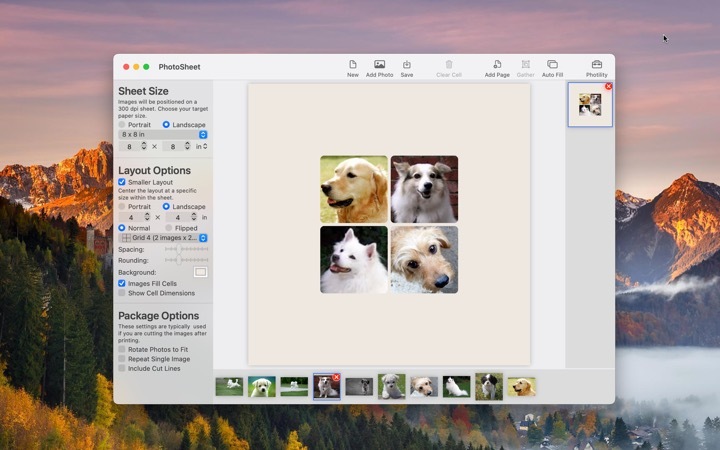 Drag the file into the app window, choose a sheet size and layout, save and upload to your favorite printing service. 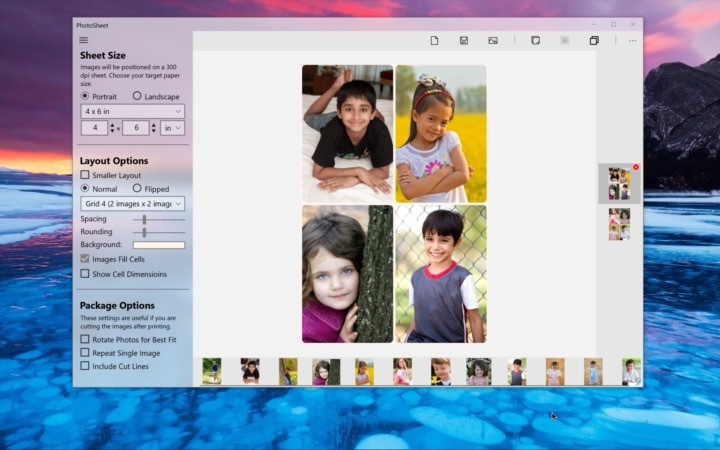 Dragging photos into the app window is just the beginning. 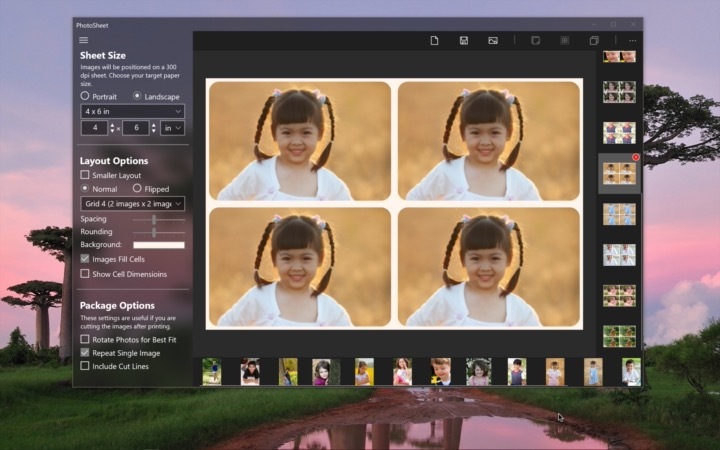 PhotoSheet opens up new possibilities for your photos! Save money on wallet photos. If you've ever uploaded photos to a photo printing service, you've seen the option for wallet prints. 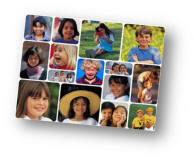 Photo printing services typically print wallets on a 4x6 or 5x7 sheet. One photo printing service I sampled had 4x6 prints at $0.15 but a 5x7 containing 4 2x3 prints cost $1.79! That's 44 cents for each wallet image! By putting the images on a 4x6 print and sending that to the printing service, the wallet images cost less than 4 cents for each image! Good with your personal photo printer: My old HP PhotoSmart 385 4x6 photo printer can generate a 4x6 sheet of wallet prints, but only if printing images directly from a camera card. Once again, PhotoSheet comes in handy. Rotate and Crop: You decide whether images are automatically rotated and cropped to fit the 2x3 aspect ratio. Make your scrapbook pages more interesting! 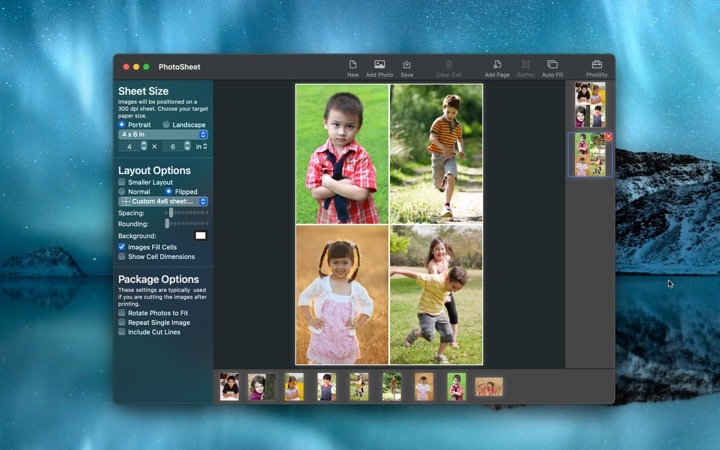 PhotoSheet gives you control over the size and layout of images for the scrapbook layout you're working on. Support for variable number of images: There are a host of sheet layouts offering space for anywhere from just 2 images to over 30! Tweak the layout! 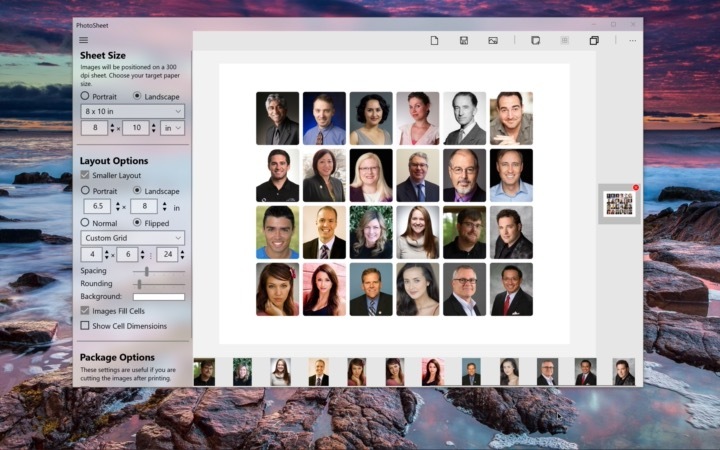 You can change the size and position of individual images within the layout. On Windows, press Shift or Alt when dragging the image. On Mac, use two fingers to pinch, stretch, or slide the image under the cursor. Make a sheet of 16 1" x 1.5" images: This is a great tool for the scrapbooking person in your family. Images this size fit perfectly in slide mounts. 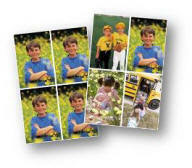 Fill photo collage picture frames in your home that hold 4x6 photos. 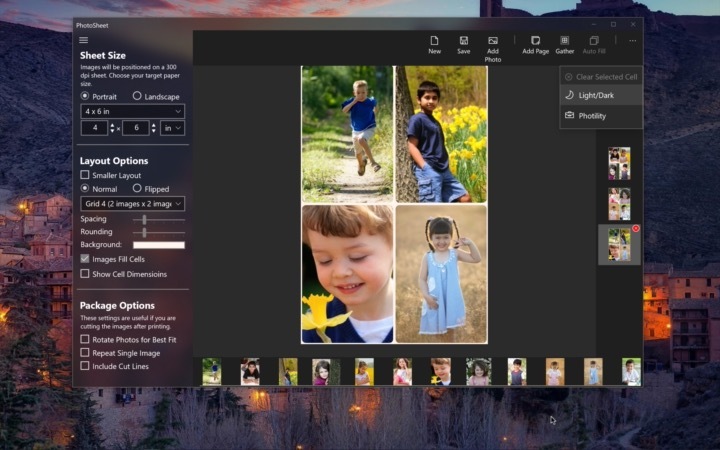 If you have too many photos to fit in the frame, this software will be handy for fitting multiple pictures into a single 4x6 slot in the frame. 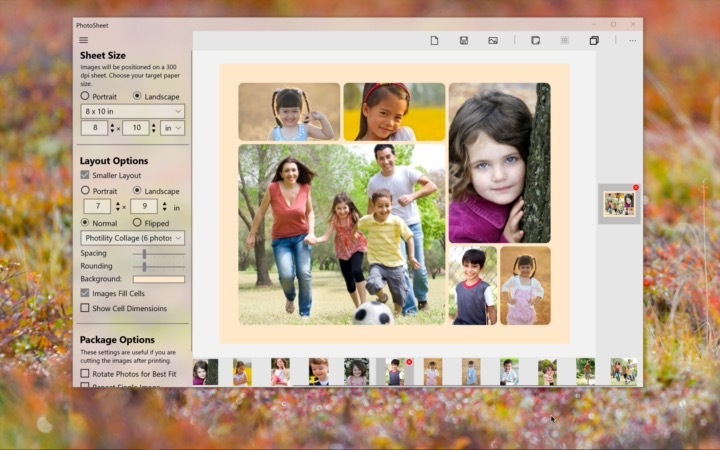 See what the sheet will look like, rearrange the photos on the sheet, and control the rotation of individual photos. 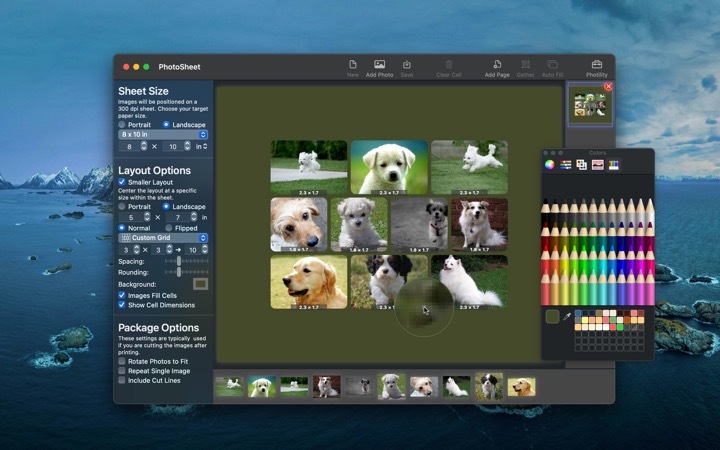 You can edit your own custom layouts, and download new layouts from Photility! PhotoSheet includes a host of custom page layouts you can use directly or as inspiration for new page layouts of your own. The layouts are optimized for a variety of popular scrapbooking page sizes, and you can even change the spacing or soften the corners of the photos in your page! Check these links for more ways PhotoSheet can help you take your photos farther. Add text, borders, and other embellishments to create even more interest in your photos! Use Cropper to trim your photos to the right shape for your frame. Read more about Scrapbooking with Cropper and PhotoSheet. Read more about Tweaking the Composition. Build your own Custom Layouts. What story will your photos tell? Do more with your photos! 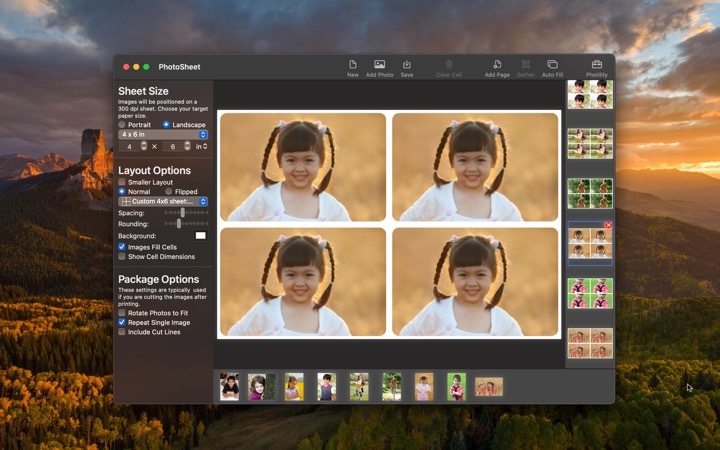 PhotoSheet runs on Windows computers from Windows XP to Windows 10, and Mac computers running OSX 10.12 and later! Download now and get started!